This app puts your iPhone or iPad on rails and turns it into a camera dolly! With DollyCam Free you can record videos and then stabilize them to remove camera shake. DollyCam also corrects wobble caused by the camera's rolling shutter. The resulting videos are much smoother than the original recordings and are more pleasant to watch. 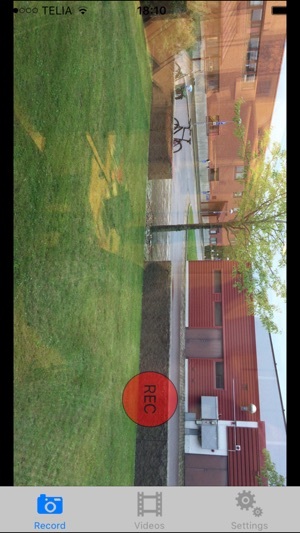 This free version adds a watermark to all frames of a stabilized video. Note that if you want videos without the watermark, you have to buy the commercial version BEFORE you record them as there is no export functionality at present. DollyCam does not remove motion blur. To get the best possible results, record videos in good light conditions. This app has been abandoned by its developers. Without a doubt this is one of the geart stabilizers in the appstore. No other apps have such functionallity or variety of video qualities to choose from which is an essantial part of the software. And so dosnt waste so much space out of phones memory for short clips. But another important issue that I was expecting on the last update was adding the zooming feature while recording. This is a big miss for this great app and so missed one star. Developer, please make sure to add zoom ability in your future update. 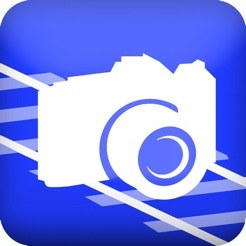 * A way to take still shots while filming (like QuickPix). If I could take stills while in shooting video, I could archive the iPhone camera app altogether. * Maybe a "stable" warning light in the recording window to indicate to the shooter whether to slow down or not. This app really does stabilize video, but don't expect 100% smooth video if you're on a full run. Small vibrations will show instead of the giant shakes most of the time. You also need to give it a little time to process the video afterwards. Overall a good first release! !